at the University in Austin, Texas. Thanks to Construction Rent-A-Fence Inc., of Taylor, TX for a successful installation. Congratulations to Kimco Realty on another THE DUMPSTER GUARD® - Standard installation at Hicksville Plaza, Hicksville, NY. 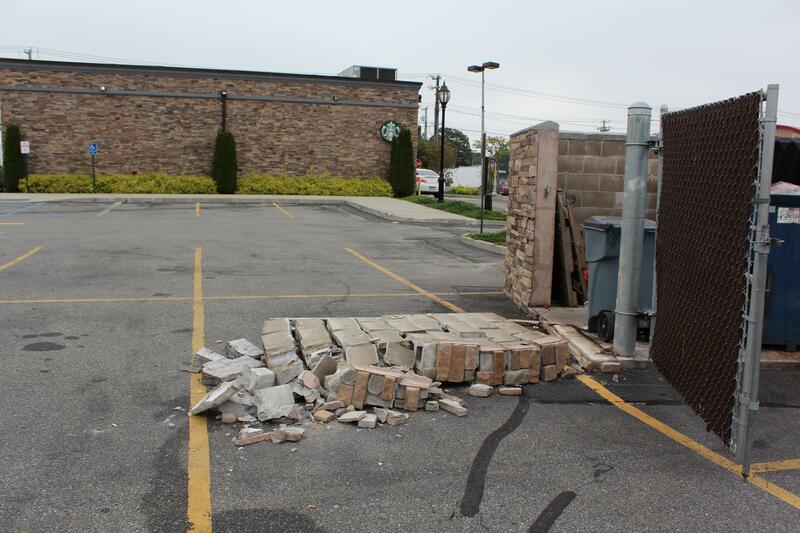 Congratulations to Starbucks on installing THE DUMPSTER GUARD® - Standard at Larkfield Road, East Northport, NY. THE DUMPSTER GUARD® - Expandable 2 installation at Sunrise Highway, Islip, NY. same damage will not occur again. Consider contacting the carting company servicing your properties to jointly evaluate the benefits of our product. assurance by preventing the problem. Thank you for visiting our website. Please feel free to contact us at info@thedumpsterguard.com with any questions or comments. THE DUMPSTER GUARD® was enthusiastically received at Waste Expo. We thank the many visitors we met at our booth. Everyone acknowledged the need for "Taking Control Back" of the dumpster enclosure area and recognized the cost savings benefit of THE DUMPSTER GUARD®. Our booth at the 2018 HIA-LI Business Show at SCCC gave us an excellent opportunity to talk with our Long Island neighbors about the benefits of THE DUMPSTER GUARD®. Thanks to the many visitors who stopped by our booth. We look forward to continuing the conversations at the 2019 HIA-LI Business Show on May 30th at SCCC in Brentwood, NY. Visit us at Booth #311. We are proud to be a member of the Community Association Institute (CAI) and look forward to exhibiting at the 13th Annual CAI - Long Island Chapter show on October 5, 2019 in Melville, New York. THE DUMPSTER GUARD® continues to reach out to the readers of HAULER Magazine. Look for our advertisement in the upcoming May, 2019 issue. We are proud to have had THE DUMPSTER GUARD® featured in the March, 2018 issue of Waste Advantage magazine as a breakthrough and innovative product for the waste management industry. Watch this video! 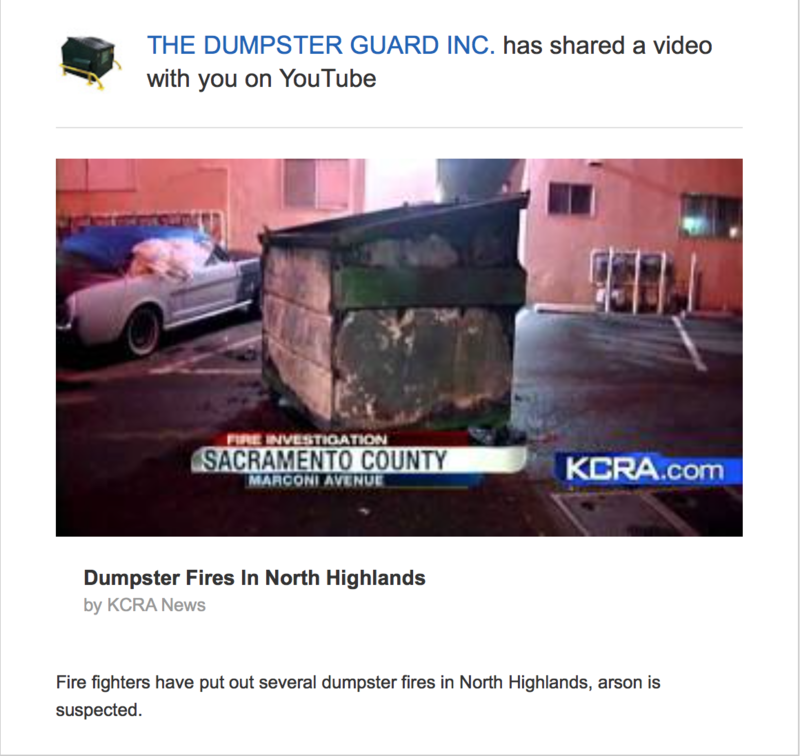 The above video demonstrates the frequency of dumpster arson fires. 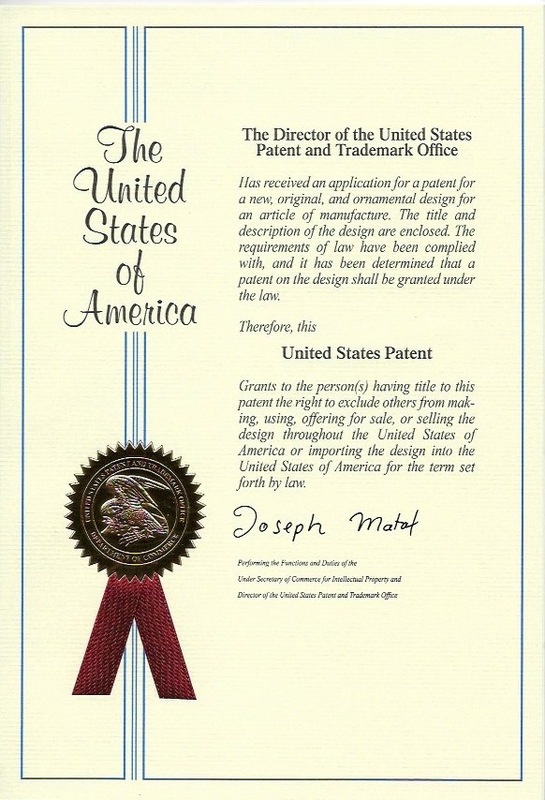 THE DUMPSTER GUARD® thanks the U.S. Patent Office for issuing Patent No. D806,268 S on December 26, 2017. Property managers and owners are aware that the most overlooked piece of their properties is the dumpster enclosure. THE DUMPSTER GUARD® is designed to provide maximum protection of masonry enclosures and surrounding structures. The additional expense of bollard installation still leaves the surrounding walls vulnerable to inevitable damage. Our product provides full protection of the three surrounding walls of the enclosure. Container removal and replacement is strictly controlled and the potential for enclosure damage is greatly reduced. 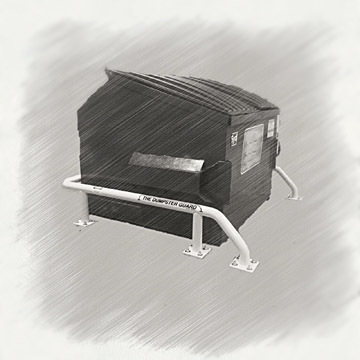 THE DUMPSTER GUARD® is constructed from schedule 40 steel tubing with reinforced connections, designed to resist re-occurring impacts. Powder coated for protection from the elements, THE DUMPSTER GUARD® is assembled with Grade 5 hardened bolts and anchored by 32, 3/4” x 4 1/4" masonry sleeve anchors (for concrete installation). Bright orange plow markers (optional) prevent THE DUMPSTER GUARD® from being unnoticed by motorists and snow plows. It will maintain control of the “floating” container for those properties not requiring enclosures and aid in the prevention of damage caused by potential vandalism and arson. THE DUMPSTER GUARD® is available in three sizes - Standard, Expandable and Mini. The Standard accommodates containers up to 8 yards. The Expandable accommodates multiple 8 yard containers. The Mini accommodates up to 4 yard containers. Custom sizes are available upon request.